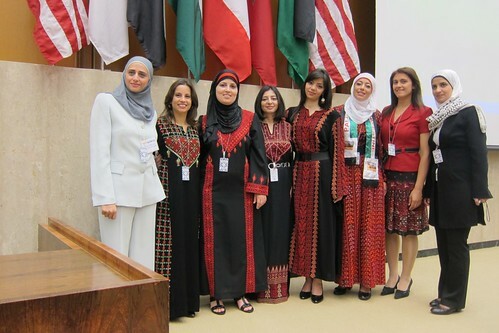 Secretary of State Hillary Rodham Clinton honored 37 women from the Middle East and North Africa and their American mentors who participated in TechWomen, an initiative that harnesses the power of technology and international exchanges as a means to empower women and girls worldwide, on July 6, 2011. This story was carried in the news as well, including CNN’s “U.S. 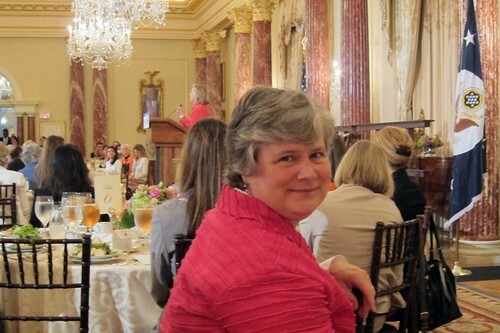 helps tech-savvy Mideastern women experience Silicon Valley” by Jill Dougherty. 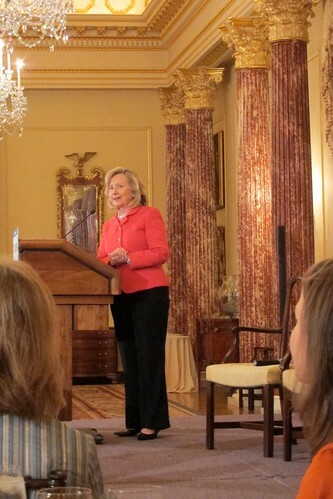 The 37 TechWomen Mentees from 6 North African and Middle Eastern countries and their Silicon Valley Mentors and the program staff from the Anita Borg Institute (ABI) and the Institute of International Education (IIE) were in the State Department building again for meetings, a photo with Secretary Clinton, plus lunch in the Benjamin Franklin Room. Two of the Huawei Mentors (Kyna Sah and Att Athsani) plus Huawei Senior Vice President John Roese and I watched with pride as three TechWomen Mentees formed a panel which capably and charmingly answered questions in front of an audience of technical and political leaders. 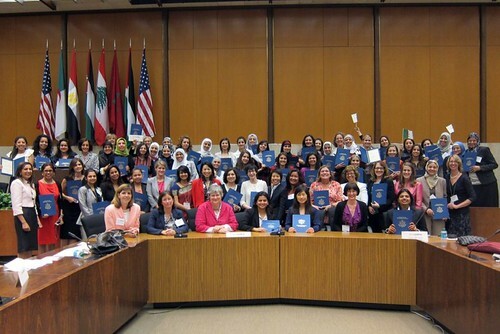 Before and after the lunch, the TechWomen group was in the huge Henderson Conference Room downstairs where the US State Department honored the countries of the TechWomen by flying the flags of Algeria, Egypt, Jordan, Lebanon, Morocco, and Palestine. The Mentees took turns having their photos taken with their flags. The Mentees who had given the most impressive talks at the final workshop were asked to form the lunch panel and give their talks again at the US State Department. Two of the Mentors joined the Mentees in the afternoon presentations. 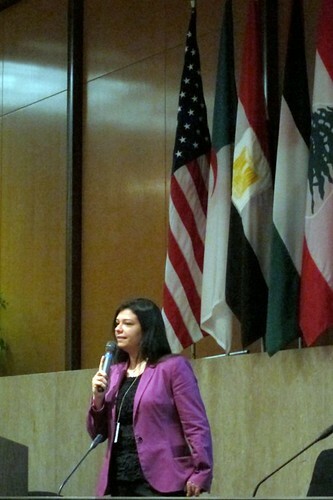 Huawei is proud that two of our TechWomen Mentees were asked to speak at the US State Department!